Babyfest 2007 » She’s about ready to blow! She’s about ready to blow! Howdy, all. Geoff here, sitting in for a day as a guest writer. I’m not getting paid for this so I don’t think I’m violating the strike. Is the woman right? 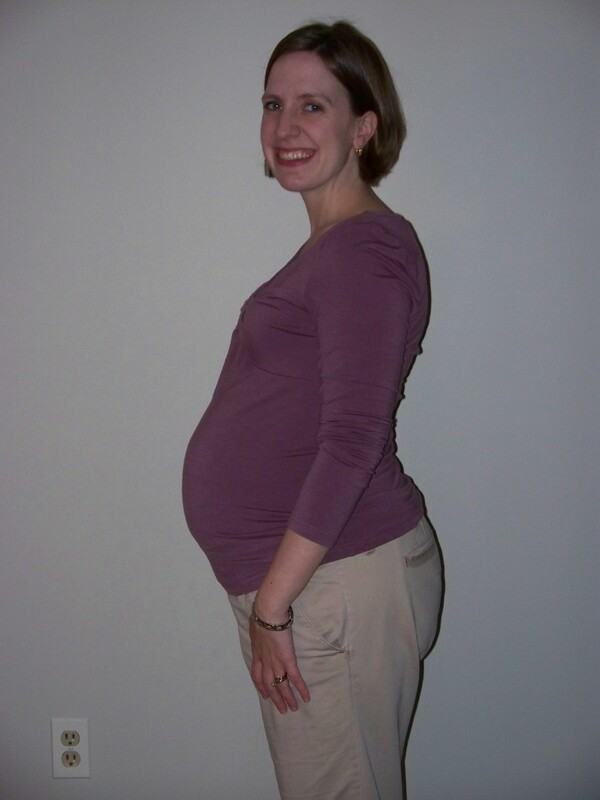 See the latest pic, taken this afternoon at 34 weeks, and judge for yourself.